The slope brassware collection from the highly acclaimed manufacturer Vitra. With its sloped contours and spout, the little details are what brings a totally new aesthetics to bathrooms. 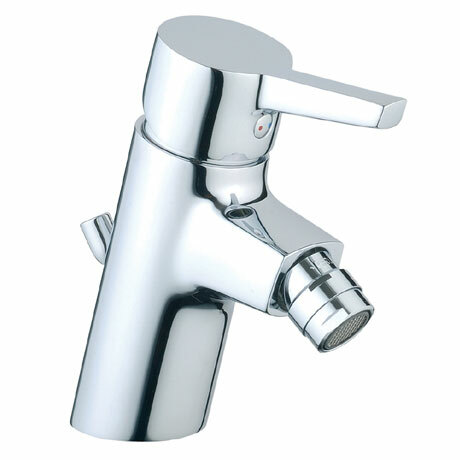 The Slope series is further complemented with glass and chrome accessories that have been designed to be in harmony with this brassware range. This bidet mixer comes with a pop-up waste and the highly polished chrome surface reflects the very best in brassware design. The fitted ball joint aerator with flow restrictor provides a minimum of 7.5 litres per minute and a maximum of 9 litres per minute which makes this tap economical.